La politica es la politica: Who was Miguel Nazar Haro? 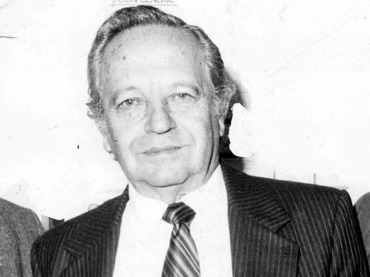 Miguel Nazar Haro, former head of Mexico’s Dirección Federal de Seguridad (DFS) – or Federal Security Directorate – died on Thursday, January 24. He was 87. Nazar Haro, one of the officials considered responsible for the infamous Tlatelolco massacre in 1968, died at around 9 pm, presumably of natural causes. Back in October 2, 1968, ten days before the opening of the 1968 Summer Olympics in Mexico City, the Tlatelolco massacre took place in the capital’s Plaza de las Tres Culturas. It was a government-directed killing of students, civilian protesters, and bystanders. No one knows how many died – estimates range from dozens to hundreds – but one thing is certain: the Mexican government not only covered up the occurrence, it also lied about the fact that it had deployed snipers. Nazar Haro was also incriminated by La Fiscalía Especial para Movimientos Sociales y Políticos del Pasado, a special prosecutor tasked with looking into Mexico’s “dirty war” (guerra sucia) of the 1960s and 1970s, in the disappearance of six members of the The Lacandon Peasants Brigade (Brigada Campesina de los Lacandones) in 1974. Another more specific accusation was that Nazar Haro was responsible for the disappearance of Jesus Piedra Ibarra, son of Senator Rosario Ibarra de Piedra. Piedra Ibarra, who was active in the September 23 Communist League, was arrested in April 1975 in the city of Monterrey, and never heard from again. Despite significant evidence against Nazar Haro, in 2006 he was released by a federal judge and never completed a prison sentence for his crimes. Specific to the Piedra Ibarra case, the charges he faced were of “illegal deprivation of freedom” which, legally speaking, would have been considered akin to kidnapping. However, as in other cases, time out-ran on the legal efforts to have justice reach Nazar Haro. Other high level government officials who have been implicated in Mexico’s dirty war are: the former President, Gustavo Díaz Ordaz (in office 1964-1970) ; Luis Echeverria (Interior Secretary under President Gustavo Díaz Ordaz from 1964 to 1970, then president from 1970-1976): General Marcelino Garcia Barragan (Secretary of Defense during the Tlatelolco massacre; and Fernando Gutierrez Barrios (obituary here), the director of the DRF during the Tlatelolco massacre. Back in February, 2004, Milenio reported that Nazar Haro had received help from the Central Intelligence Agency (CIA) and the U.S. Justice Department to avoid incarceration in the U.S. But this wasn’t because he was “disappearing” leftists: apparently, he was under investigation for participating in a car theft ring. In an interview with Milenio, Peter K. Nuñez, the former U.S. Attorney in charge of the case in San Diego, California, said that when he tried to arrest and prosecute Nassar Haro in the early 1980s the “intelligence agencies” in Washington intervened. “It was a very complicated circumstance. We [in San Diego] had spent considerable time trying to charge him, and the Justice Department in Washington and some of the U.S. intelligence agencies did not want us to go ahead,” Nuñez said. Apparently, Nuñez believed the CIA got involved to influence the escape of Nassar Haro from the U.S. after having after spent only a few hours in a San Diego jail. The CIA considered Nassar Haro, according to different reports, “the most important source in Mexico and Central America” for the U.S. espionage services. However, it looks as if upon his death in Mexico there was still an outstanding warrant for his arrest in the United States. Even decades after being indicted in a federal court for his alleged participation in an organization dedicated to stealing vehicles in San Diego, Nassar Haro would still have been considered a fugitive from justice.